Rialto Energy Limited, an international exploration and production company has drilled the Gazelle-P4 Development Well, offshore Côte D’Ivoire to the the planned final depth of 3522m MDRT (2720m TVDSS). This has taken 28 days from spud to TD. According to the company’s report the well has encountered encouraging oil and gas shows through the Upper Cenomanian and gas shows through the Lower Cenomanian reservoir intervals. These will now be evaluated by wire line logging, fluid and pressure sampling to properly evaluate the shows, and identify potential test intervals. Rialto will now release the Transocean GSF Monitor jack-up rig to focus on the FEED for the Gazelle field development and to further refine exploration options for its Cote d’Ivoire acreage. Rialto is the Operator (85% working interest) of the CI-202 block offshore Côte d’Ivoire. The CI-202 block contains the Gazelle Field, which is the current focus of development, with first production expected by early 2014. A Competent Person’s Report completed in September 2011 by RPS Energy Services in relation to CI-202 certified Total Mean Contingent Resources of 50 MMbbls of liquids and 396 Bcf of gas, in addition to Total Mean Prospective Resources of 511 MMbbls of liquids and 1,785 Bcf of gas. 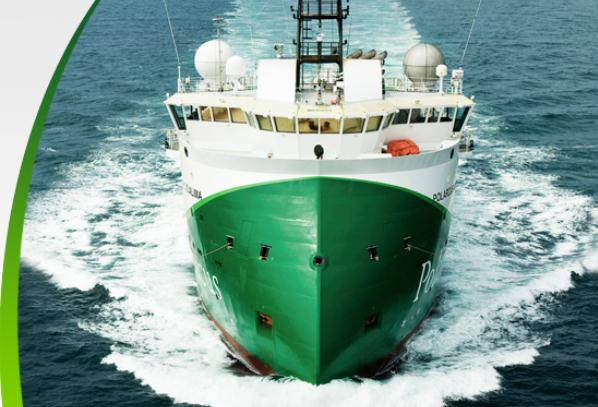 Rialto Energy: Encouraging Oil Shows at Gazelle-P4 Well (Ivory Coast)| Offshore Energy Today. 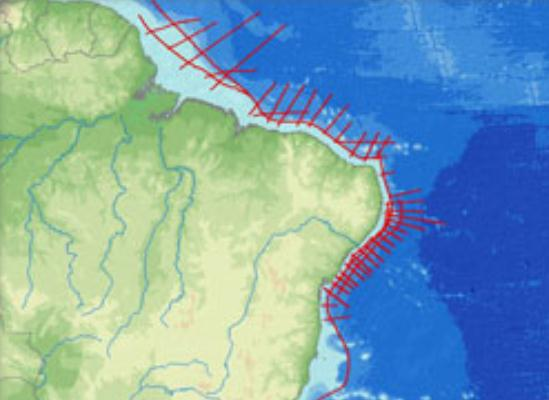 ION Geophysical Corporation has added an additional 8,000 kilometers of regional seismic data to its Greater BrasilSPAN™ program in the Equatorial Margin offshore northern and northeastern Brazil. To be processed by ION’s GX Technology data processing group, this new data adds to the approximately 17,600 kilometers of data the company acquired in the region in 2009 and brings the total number of kilometers in the company’s BrasilSPAN portfolio to over 50,000. Recent major discoveries in West Africa’s Ghana and Ivory Coast, which are geologically similar to Brazil’s Equatorial Margin basins, have increased interest among oil & gas companies in the conjugate margin in northern Brazil. ION’s Greater BrasilSPAN provides E&P companies with a better understanding of the orientation of the transform and growth faults and the deposition environment of the key basins from Foz do Amazonas to Potiguar. The second phase of ION’s Greater BrasilSPAN program will be available in the third quarter of 2012, in anticipation of the 11th Brazilian licensing round expected to be announced in early 2012. Rialto Energy Limited reports that a block‐wide, full‐fold 3D seismic survey covering 891km2 has been completed over Block CI‐202 (Rialto 85% and Operator) with Dubai-based contractor Polarcus DMCC. Processing and interpretation of the newly acquired data will commence shortly and will provide Rialto with a full suite of 3D data over the entirety of Block CI‐202. 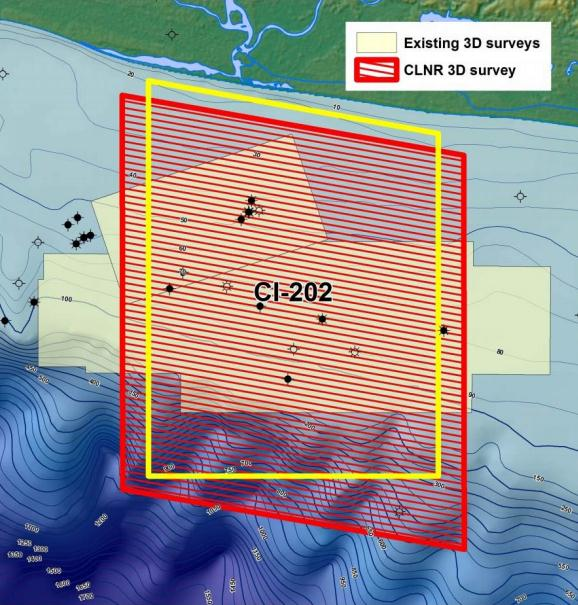 This will allow Rialto to further refine existing interpretation and mapping of the exploration potential within Block CI‐202 through better definition and mapping of the multiple prospects and leads already identified. Further, this work will provide an even greater understanding of the 5 existing discoveries and culminate in better definition of these existing resources. Block CI‐202, offshore Côte d’Ivoire comprises an area of 675km2 and contains four significant underappraised oil and gas discoveries; Gazelle, Hippo‐1, Bubale, and Addax, all located in water depths of 50 to 100 metres. These discoveries are assessed to have mean contingent resources totalling 50 mmbbls of liquids and 396 Bcf of gas. Rialto is moving to develop and commercialise the Gazelle field later this year. In addition to the development opportunities which exist within CI‐202, the Company has identified an exciting inventory of exploration prospects and leads which will be the subject of future drilling.